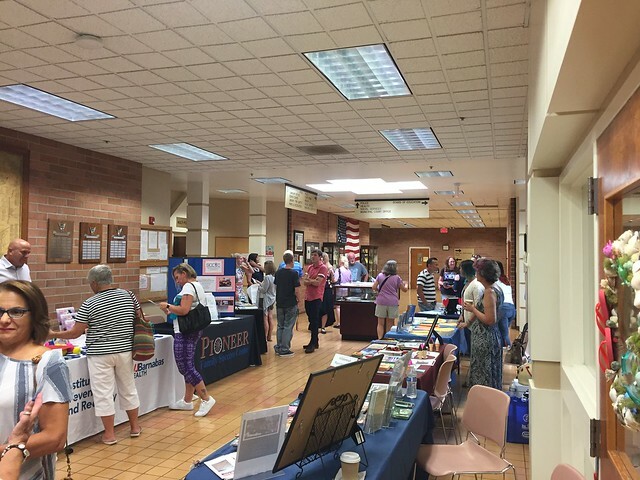 On August 30th, Hillsborough Township was the host for Somerset County’s 2nd Annual Overdose Awareness Day to remember and honor those loved ones lost to addiction. Pastor Tim Wolf moderated the evening that was kicked off by Somerset County Freeholder Deputy Director Brian Levine. Somerset County Prosecutor Michael Robertson spoke regarding various statistics and then the remaining panel shared their personal stories of how addiction and overdose impacted their lives. The panel consisted of the following individuals: Somerset County Municipal Alliance Coordinator Jennifer Sorensen, Mother of Dillion J. Aurichio (11/23/94 – 11/23/16) – Dina Aurichio, Recovery Support Center Coordinator Krishan Clemente and Father of Anthony Calderaro (10/2/1994-9/27/16) – Craig Calderaro. A candlelight vigil followed the presentation in honor of those who passed away. Overdose Awareness Day was sponsored by: the Somerset County Board of Chosen Freeholders, the Governor’s Council on Alcoholism and Drug Abuse, Office of the Somerset County Prosecutor, Pioneer Family Success Center, Safe Communities Coalition and the Hillsborough/Millstone Municipal Alliance. Looking ahead – The Hillsborough Millstone Municipal Alliance will be hosting a “Meet the Alliance” night on Wednesday, October 17th from 7-7:45 pm.